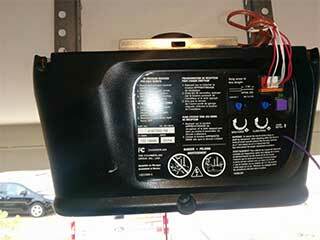 Your garage door opener needs one of two things to function. The first is to be installed correctly, and the second is a steady supply of power. Most garage door systems can be opened manually in the event of a power failure, but this is still a major inconvenience that requires more time than to simply have them function automatically. Can you imagine coming home late at night in the middle of a storm while the power's out and not being able to get into the dry comfort of your garage without getting soaked? This is not something you probably want to happen. A backup battery will allow your garage door opener to continue operating for several hours or more after the main electricity source goes down. Do I Really Need A Backup Battery? Deciding this really depends on how often you are faced with power outages, or whether or not you want to be ready for these types of potential scenarios. Even if you only experience these inconveniences a few times a year, getting a backup battery installed can be a major time saver and a welcomed safety addition. If you or your partner work late shifts, or if you have teenagers that are often out late, getting a garage door opener with a backup battery can be important. Having to use your garage door manually in the middle to late hours of the night can be dangerous, as odds are the person doing it is exhausted and not entirely focused. Using the door manually is always more dangerous, and should only be done when necessary, like during an emergency. Do I Have To Replace My Current Opener? Not necessarily. Depending on the type of garage door opener you have and how old it is, you may very well be able to get a backup battery installed without replacing the main unit. Of course, newer opener models will have additional safety and security features, so it may be worth considering getting a new one anyway. The peace of mind this will offer you will be well worth the initial investment. If you want some more information, contact our team at Garage Door Repair Alpharetta to consult with our experts.